OK, well, maybe not that long ago or far away, Santander Consumer USA ran a Pro Football Pool for its auto dealers that has been as popular as a Wookie on a spaceship. Now, we’re launching a similar contest so that you and the whole galaxy can get in on the fun. 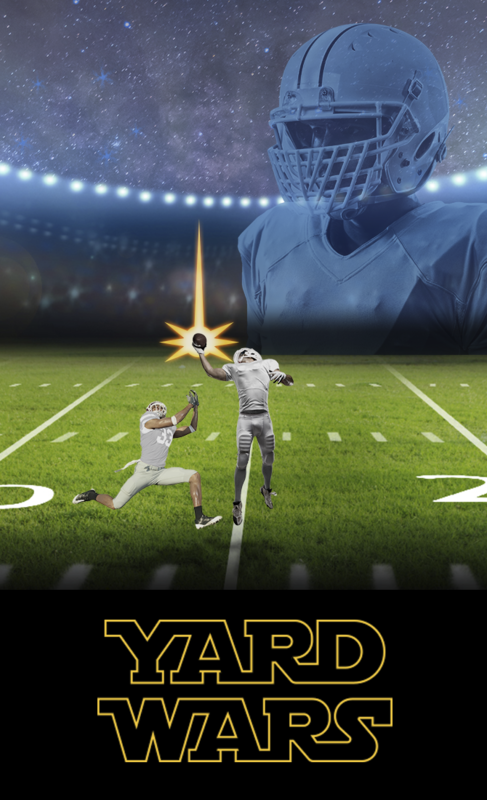 The first-ever Santander Pro Football Pool, “Yard Wars,” FOR CONSUMERS ONLY, begins a 17-week saga of yardage battles starting Thursday, Sept. 10, with the Pittsburgh Steelers playing the defending champion New England Patriots, and continuing with all the games of opening weekend. To make sure things are as exciting as a dash through an asteroid field with Han Solo and the Millennium Falcon, there will be weekly winners and prizes, plus an overall contest winner. We would be honored if you would join us, and may the scores be with you. This will ensure that you can keep using your existing login and password. The next time you come in with your own Username and Password, you will arrive at the Pro Football Pool. Make your weekly pick (see “How the Pool Works” below), with the ability to change them right up until your pool’s deadline. Picks are made “straight up,” not using a point-spread system. Like us on Facebook, where we will announce the winner(s) for each week on our Facebook page (https://www.facebook.com/SantanderConsumerUSA). Upon receiving your prize, winners are encouraged to submit a photo of you for us to post on Facebook. A brief reminder: You must get your picks in by the weekly deadline — before the first game each Thursday. You can modify the remainder of the games up until the Thursday deadline. All picks will be hidden until the first kickoff on Thursday. If you have any questions, please Read the FAQ and check out the Message Board. If you still have questions, feel free to post it on the public message board. You can always ask your administrator ddonascimento@santanderconsumerusa.com. PLAYER RULES: No entry fee required. No purchase necessary. Void where prohibited. This League is intended to be exclusively for consumers (from here on “Players”) at Santander Consumer USA (SCUSA – from here on “League Owner”). Each Player is allowed one Player identity. Multiple aliases or shadow-players created by the same person are considered unsportsmanlike conduct. Each week a really cool prize will be awarded to the winning Player (prize value will remain below the 1099 threshold). League Owner reserves the right to suspend Players for any real or perceived unsportsmanlike (or unsportswomanlike) conduct. By participating, Players agree to have fun, play fair and hold harmless League Owner for any real or perceived claims of liability.